questioned her ethics in pursuit of her goals. 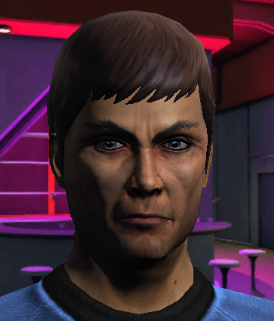 Star Trek Online had a mid-teens questline where a Federation toon has to go back in time to save an outpost from an attack from "ghosts" (it's a Next Gen baddie), and you encounter McCoy and Scotty on the outpost. It feels, well, weird seeing them in their TOS uniforms, knowing how things work out for them in the movies and in the Next Gen television series. Kirk and the rest of the Enterprise crew. In WoW, you get that feeling of impending doom the most when the Bronze Dragonflight drafts you into correcting the timeline, most notably in the 5-man instances and raids from the BC and Wrath expansions. My personal favorite is the Culling of Stratholme, because you get the long intro grounding the WC3 era instance with the current Wrath timeline. And for those of us who have never played any of the Warcraft RTS games, it's quite the revelation. Sure, we knew that Arthas became the Lich King, because reasons, but it's a surprise that he made the leap from "infected grain" to "kill everybody to keep the Scourge of Undeath from spreading". It's the equivalent of saying "there's an ebola outbreak in Orlando, Florida, so let's nuke the entire city just to make sure we've got it contained." But LOTRO has the dubious distinction of having the overall plot known to tens of millions of people throughout the world, and millions of those people know a ton of minute detail about Middle-earth. And no matter what you try, you know how things will work out in the end. Take the Dunlendings, for example. You spend the second part of the Grey Company Epic Questline in Enedwaith, trying to assess the threat of the Dunlendings and attempting to get them to resist Saruman. ** But the thing is, people who have read the appendices in The Return of the King know the ultimate result: Saruman dominates the Dunlendings, and gets them to join with his uruks to attack Rohan. And when I reached Dunland itself and not only began working the Epic Questline but landed enough LOTRO points to get Rise of Isengard,*** I discovered similar feelings of anguish. 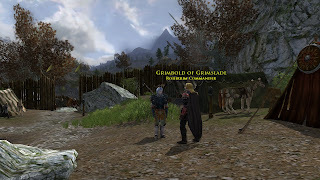 I cruised through the Dunland and encountered Prince Theodred, son of King Theoden of Rohan. I wanted to somehow warn him of the impending doom he faced, but I knew that was just not possible. Nor would I have been able to change the future, because LOTRO's writers have done a good job of making an impeding train wreck seem avoidable, even plausible, until in-game reality kicks you in the pants. 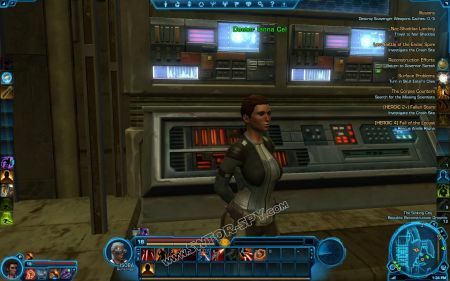 in time....Oh wait, wrong franchise. *I'd kind of like to have seen Thana Vesh in a Republic class story, but no such luck. She's an NPC who pretty much dominates every conversation that she's involved with. **The first part of the questline is simply "getting the band back together" before they head off in response to Aragorn's Galadriel's summons. ****From Greek Mythology, she was the daughter of King Priam of Troy who was (in)famous for making prophecies that were never believed, courtesy of a curse Apollo inflicted on her for not succumbing to his advances.